The Record » How do we see past differences when they’re scary? How do we see past differences when they’re scary? Katrina Roe’s first two picture books, Marty’s Nut-free Party and Emily Eases her Wheezes, both tackled the subject of children overcoming problems that made them seem different from other kids. Her latest book, Same, continues with this theme, although this time it’s little Ivy who’s scared of her Uncle Charlie because he’s different. Same deals with the theme of using common ground to overcome fear and see beyond differences. It is based on the true story of how a little girl responded to her uncle, who has cerebral palsy. While her initial reaction was one of fear, the simple act of drawing a picture led to her accepting him as a person and realising he wasn’t so different after all. 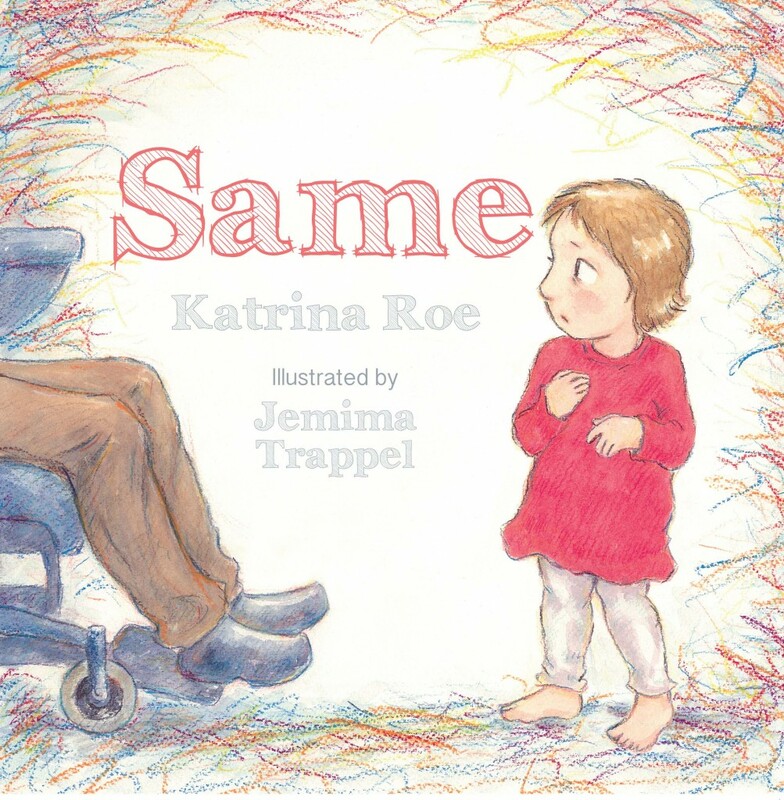 In this book, Katrina has teamed up with illustrator Jemima Trappel. A Sydney-based artist, Same is the first book that Jemima has illustrated for Wombat Books. “I think Katrina’s text has captured the essence of the situation well and it has been a delight to illustrate it,” she said. “Before I started work on the illustrations for Same, Katrina invited me over and introduced me to Charlie. I took some photos and developed sketches from them. Same was released on 1 July 2015: the paperback copy is on sale for RRP $19.99 and is available at all good bookstores or online at www.wombatbooks.com.au. For more information, contact Lynne Stringer at Wombat Books on 07 3245 1938 or info@wombatbooks.com.au.